A layer of mist hovers above the grounds at Novo Fogo. Long known to the wider world as “Brazilian rum,” the sugarcane-based spirit called cachaça is enjoying a moment in the sun. But like rum, cachaça’s seen darker days. Its colonial origins are inseparable from the specter of slavery, and over the centuries, cachaça has known highs and lows, leading to a mixed reputation for quality and a track record tinged with pollution. But while cachaça’s production process hasn’t greatly changed over the past 500 years, the quality and ethos behind that production has. Today, many new producers are implementing agricultural and production guidelines that are cleaning up cachaça’s reputation and greatly improving its quality. And at a time when the world’s eyes are focused on Rio, cachaça’s sprint onto the international stage is especially timely. 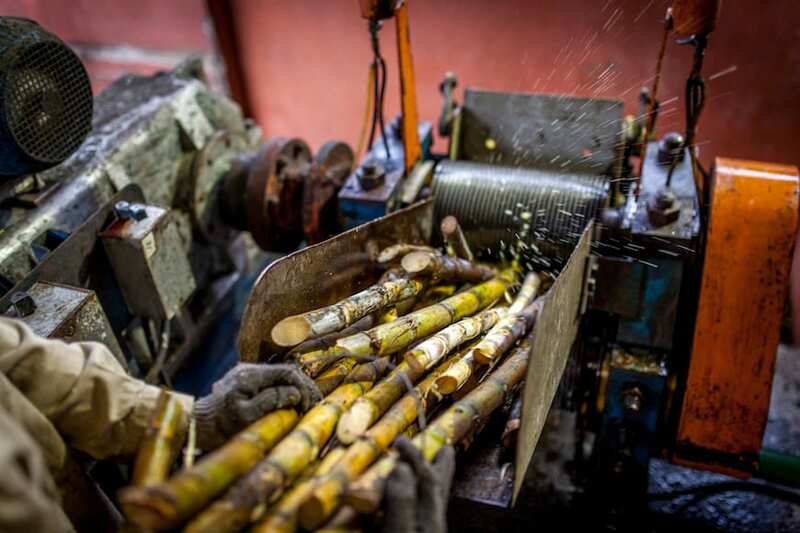 The overall number of cachaça producers is difficult to gauge (estimates range anywhere between 12,000 and 40,000), largely due to the ease with which small, unregistered operations get started. But a small yet growing fraction includes registered commercial producers whose cachaças can now be find in North America, such as Novo Fogo… These producers are going against the recent trend of industrialization and are taking a hands-on approach to everything from the sugarcane farming to production and bottling, leaving the spirit’s past of dubious practices behind in favor of more sustainable methods. 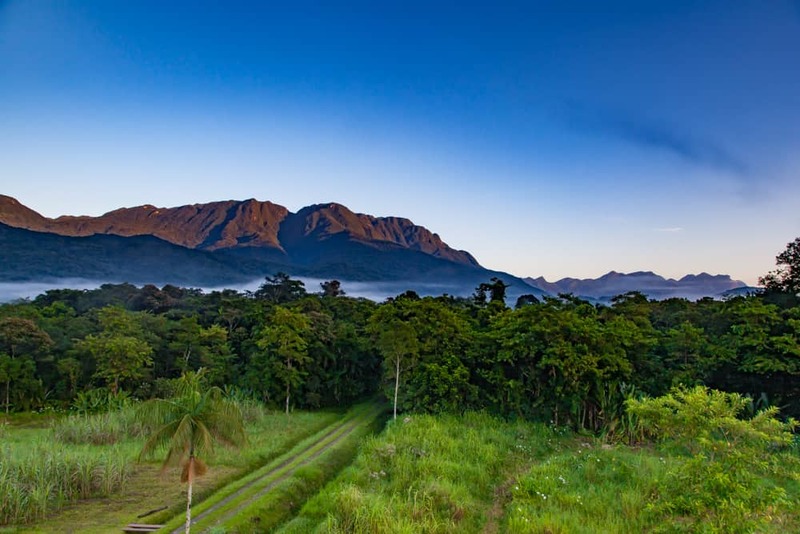 In part, this move aims to preserve the character of the sugarcane’s terroir. Brazil’s vastness and variability—in terms of growing regions, altitude, climate and slope—all play significant roles in the flavor, and because the production process is relatively straightforward, with little manipulation, it’s smart to let those natural flavors shine. Dragos Axinte of Novo Fogo admits he can tell if a cachaça is made from cane grown in the mountains or near the sea in a blind tasting. The cane sponges up elements from the ecosystem, whether it’s salinity from the ocean, vegetal notes from the rainforest, tropical flavors from nearby banana trees or floral traits from resident botanicals. “Removing anything that’s part of the natural identity of the cane is not what we do,” he says. 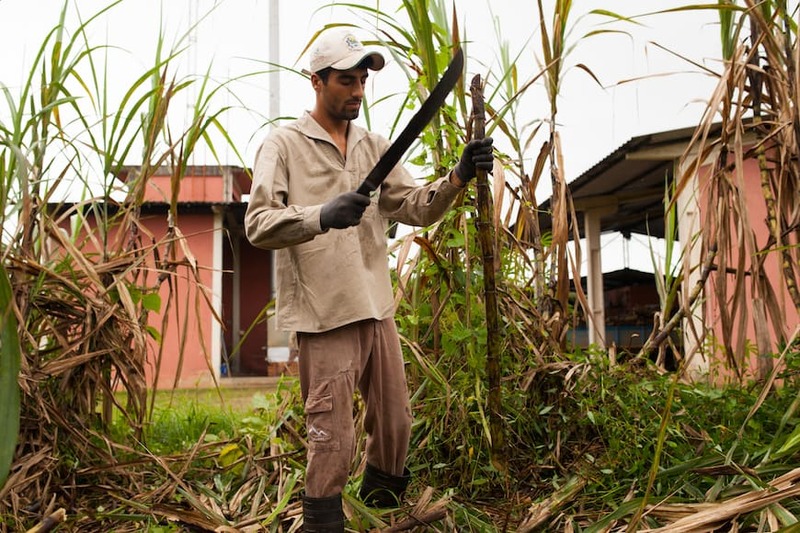 Hand-cutting sugarcane with a machete near Morretes.